TLGTA is proud to present our annual TLGTA Singles Championships. 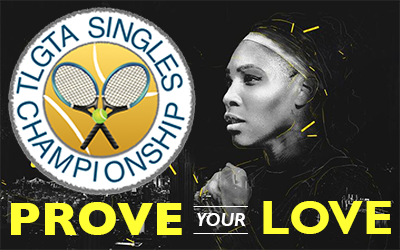 The Singles Championships is our 6th and final tournament of the 2014 season. It's your last chance to show everyone what a champion you are. The winners in each main draw division will receive a trophy and a free 2015-2016 TLGTA membership. Consolation winners will receive a different prize.